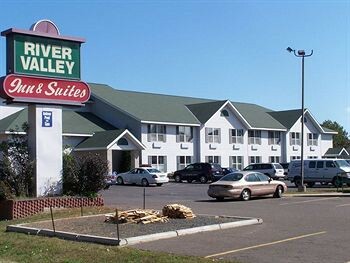 Property Location Located in Osceola, River Valley Inn & Suites is convenient to Riverwood Canoe and Osceola & St. Croix Valley Railway. This hotel is within the vicinity of Interstate State Park and St. Croix Valley Golf Course.Rooms Make yourself at home in one of the 31 air-conditioned rooms featuring refrigerators and plasma televisions. Complimentary wireless Internet access keeps you connected, and cable programming is available for your entertainment. Conveniences include coffee/tea makers, as well as phones with free local calls.Rec, Spa, Premium Amenities Be sure to enjoy recreational amenities including an indoor pool and a spa tub. Additional amenities include gift shops/newsstands and tour/ticket assistance.Business, Other Amenities Featured amenities include limo/town car service, a 24-hour front desk, and laundry facilities. Free self parking is available onsite.